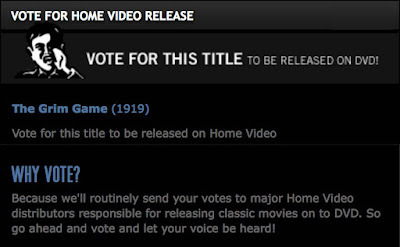 As we start the new year, I still don't have any news on whether Houdini's The Grim Game will be released on DVD. 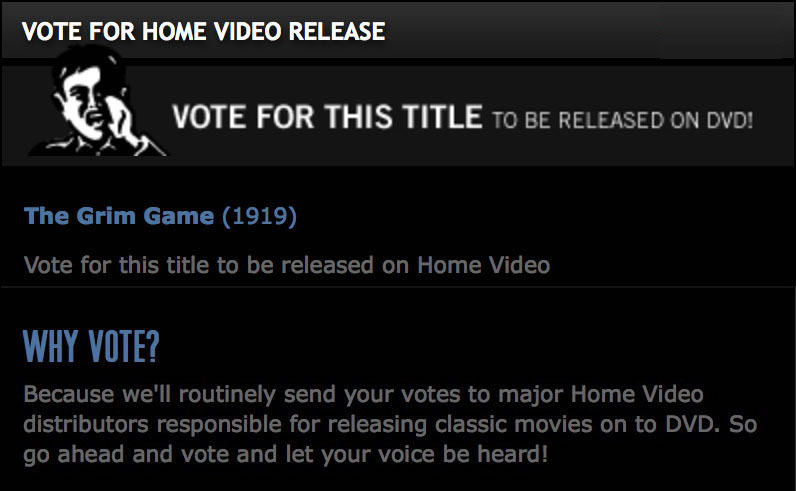 But The Grim Game page at TCM.com does have a way that you can vote for a DVD release. Now, I don't know if this will really do anything, all the movie pages at TCM have this same poll, but it couldn't hurt! UPDATE: The poll has now vanished from The Grim Game page at TCM. Could that be a good sign? The poll has now vanished from The Grim Game page at TCM. Could that be a good sign?